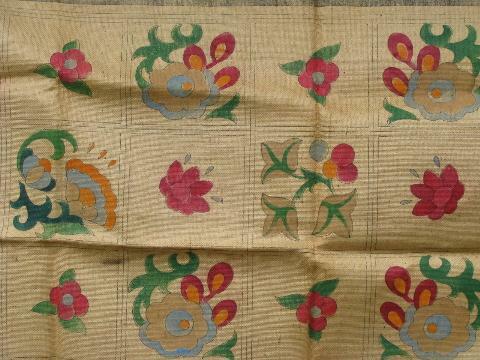 Vintage 1940s Columbia burlap canvas for a hook rug, with floral album quilt blocks design in beautiful colors. 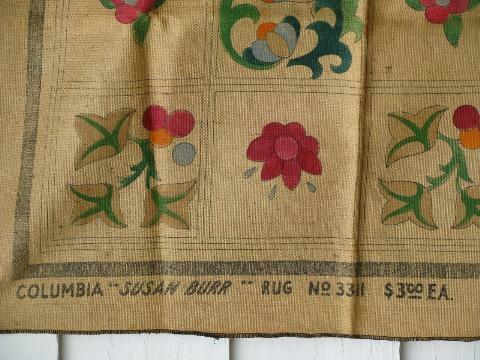 The pattern name is Susan Burr, and the original price was $3.00! 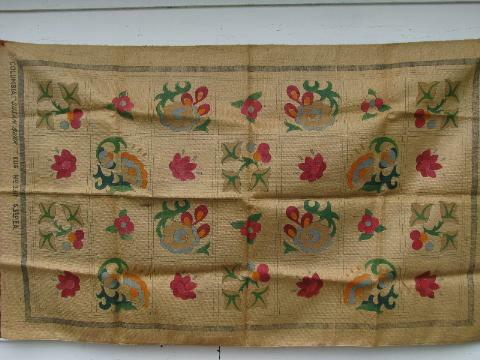 This canvas measures 36" x 62" over the rug area, not including the waste fabric. It's in excellent condition, smooth and crisp and nice.